What motivates employees? As a manager, you need to know why people come to work every day, what makes them stay - and what drives them to perform at their best. According to Teresa Amabile and Steven Kramer, the best leaders are able to build a cadre of employees who have satisfying inner work lives: consistently positive emotions; strong motivation; and favorable perceptions of the organization, their work, and their colleagues. To do this, you must create forward momentum in meaningful work - and steer clear of the obstacles that undermine inner work life. 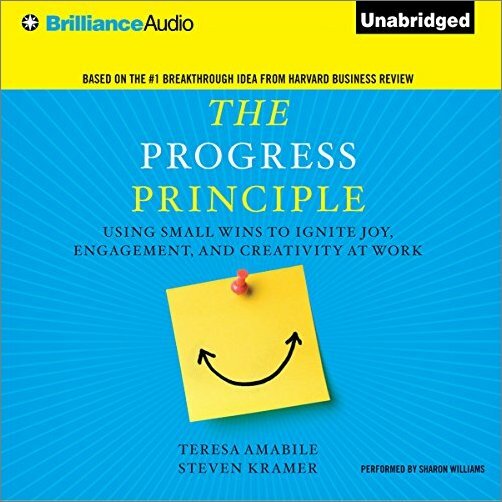 Through rigorous analysis of nearly 12,000 diary entries provided by hundreds of employees in several different organizations, Amabile and Kramer explain how you can foster progress and enhance your people's inner work life every day - in the process boosting long-term creative productivity. The book shows how you can remove common barriers to progress, such as meaningless tasks and toxic relationships, and emphasizes how these factors can disrupt employees' inner work lives. The Progress Principle also explains how you can activate two forces that enable progress: "catalysts" - events that directly facilitate project work, such as clear goals and autonomy; and "nourishers" - interpersonal events that uplift workers, including encouragement and demonstrations of respect and collegiality. 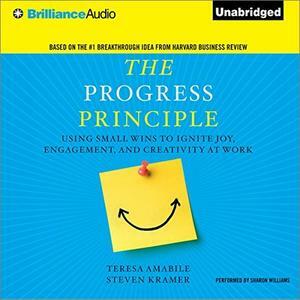 Filled with honest, real-life examples, compelling insights, and practical advice, The Progress Principle equips aspiring and seasoned leaders alike with the guidance they need to maximize people's performance.